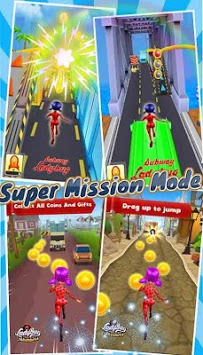 Subway Lady Bug Cat Noir Rush Jump Games is a free endless running game. Challenge ladybug and cat black noir to reach the temple and collect points to move from one world to another It contains many exciting levels full of adventures. Rush, run, surf in unknown subway, explore the exit to escape from ladybug and cat black noir hunter. 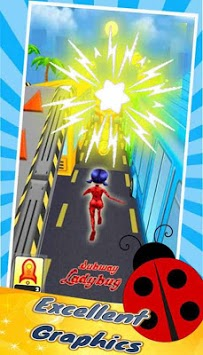 **Subway Hero Ladybug Adventure world is a game suitable for children and adults. 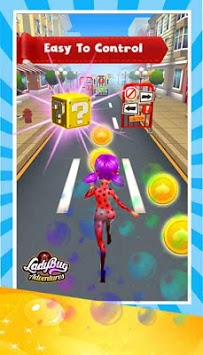 Take the opportunity and download the game is free to help ladybug to reach the temple and win the gold. - Are you ready to help our friend ladybug super hero girl dash to finish the job and win in this exciting adventure ? - Remember to find secrets and unlock extras to get the most out of the game. - Be careful on the road and don't forget to collect all the butterflies!! Let's play and bea the highest score on subway hero girl ladybug Suft! We are not affiliated in any way to trademark owner. This application complies with US Copyright law guidelines of "fair use". If you feel there is a direct copyright or trademark violation that doesn't follow within the "fair use" guidelines, please contact us directly. Our application is an unofficial, this adventures game just for fans purpose only, it is not authorized or created by the original creator.Enjoy and Play Classical platformer with ladybug and cat black noir Character !